The October 2010 Scanfest will take place here at AnceStories next Sunday, October 31st, from 11 AM to 2 PM, Pacific Daylight Time. Confused? Have questions? Go to CoverItLive and check out 6. Try It Nowto see live blogs in action or 7. Demos to see videos demonstrating how to use CIT (especially the ones titled "How do my readers watch my Live Blog?" and "Adding Panelists and Producers"). If you would like to be a Producer, please e-mail me no later than Saturday, October 30th at 4 PM, PDT and I'll send you an invitation. Preference will given to previous Scanfesters. You must set up an account (free!) ahead of time to be a Producer. This account will be good for all future Scanfests. You can do some practices ahead of time by going to My Account and clicking on the link under Practice your live blogging. Again, you must have IE 6.0+ or Firefox 2.0+ to be a Panelist. Miriam Robbins Midkiff and Thomas MacEntee. Spokane, Washington. 2 October 2010. Privately held by Miriam Robbins Midkiff, [ADDRESS FOR PRIVATE USE], Spokane, Washington. 2010. 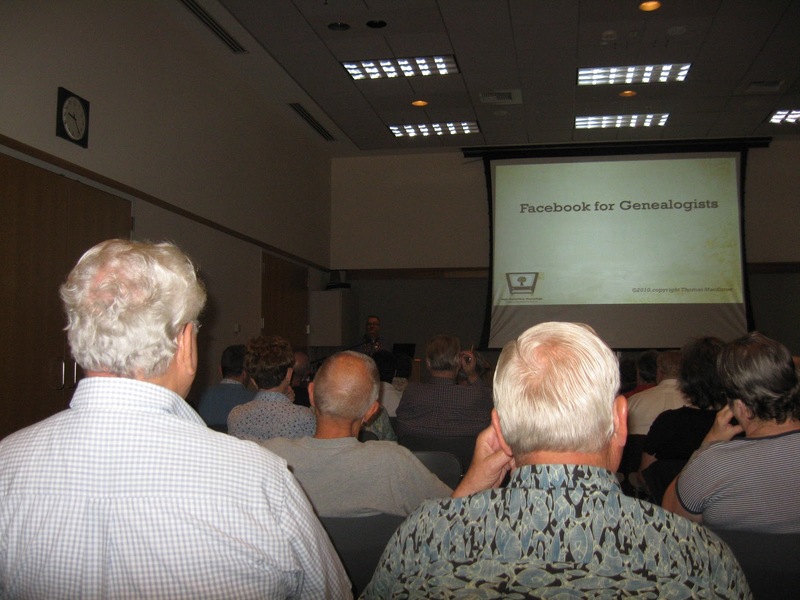 I just came away from a busy and exciting weekend as my local genealogical society, the Eastern Washington Genealogical Society, held its annual October Workshop with well-known geneablogger Thomas MacEntee as its featured speaker! Since I was at work when Thomas' flight arrived, EWGS 3rd Vice President Cecily Kelly was kind enough to pick him up from the airport and drive him to his accommodations at the historic Spokane Club. After I got off work, we all met up at Anthony's at Spokane Falls for a great seafood dinner on the terrace overlooking the falls of the Spokane River. It was a gorgeous Indian Summer day, and the three of us had a good time talking about our own genealogy, the future of genealogical societies, and what the Next Big Thing in genealogy might be. 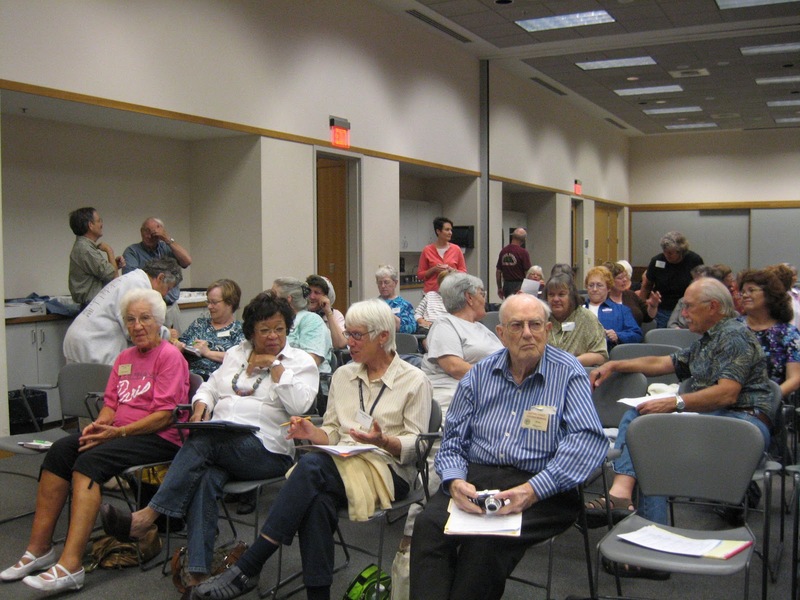 EWGS Members. Spokane, Washington. 1 October 2010. Privately held by Miriam Robbins Midkiff, [ADDRESS FOR PRIVATE USE], Spokane, Washington. 2010. Next, we headed over to the downtown branch of the Spokane Public Library so that Thomas could give his new presentation, "Building a Research Toolbox." 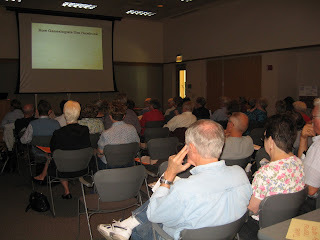 This was a members-only presentation, and we had about 40 people in attendance. You can see some video footage I shot that evening posted on Thomas' blog here. Thomas explained why a person would need a research toolbox, what the different kinds of toolboxes (or containers) there were, what kinds of tools (or content) would be stored in it, and how to organize the information. 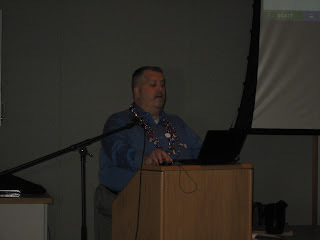 I especially liked the wikis as a type of toolbox, and MediaWiki certainly caught my eye. Another tool that looked extremely useful was Link Valet, a link checker that will make sure all the URLs in your blog or document are working and not broken! If you would like to see one good example of a research toolbox, Thomas has one set up on his blog here. I prefer to use my Google Toolbar's Bookmark feature for mine, as it is accessible from nearly any computer, anywhere. EWGS Members and Thomas MacEntee. Spokane, Washington. 2 October 2010. Privately held by Miriam Robbins Midkiff, [ADDRESS FOR PRIVATE USE], Spokane, Washington. 2010. 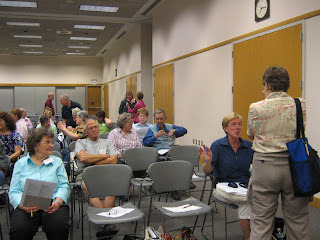 The next morning, we were at the library bright and early to prepare for a day long workshop of four presentations. 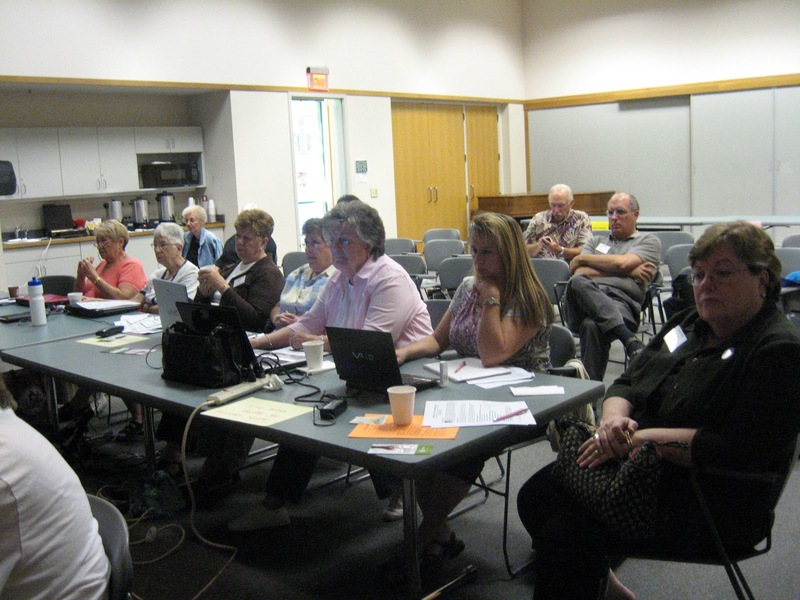 There were about 65 people in attendance, including some from Northern Idaho, Northeast Washington, and the Tri-Cities area of Southeast Washington, representing societies from those areas. After registration check in, the welcome, and some EWGS business, Thomas began his morning presentations, "Facebook for Genealogists" and ""Become a Genealogy Blog User." 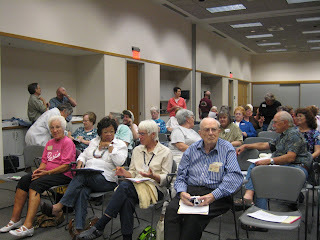 There was a lot of audience interaction and they were very attentive to his presentations. At the lunch break, those who had pre-registered received their box lunch from Apple Spice Junction, and those who had not either brown-bagged it or stepped out to one of the many eateries nearby. Then it was time for the afternoon presentations, "Building a Genealogy Blog" and "Google Docs for Beginners." In most day-long workshops, the audience tends to be a big tired after sitting all day, as well as a bit drowsy after lunch. 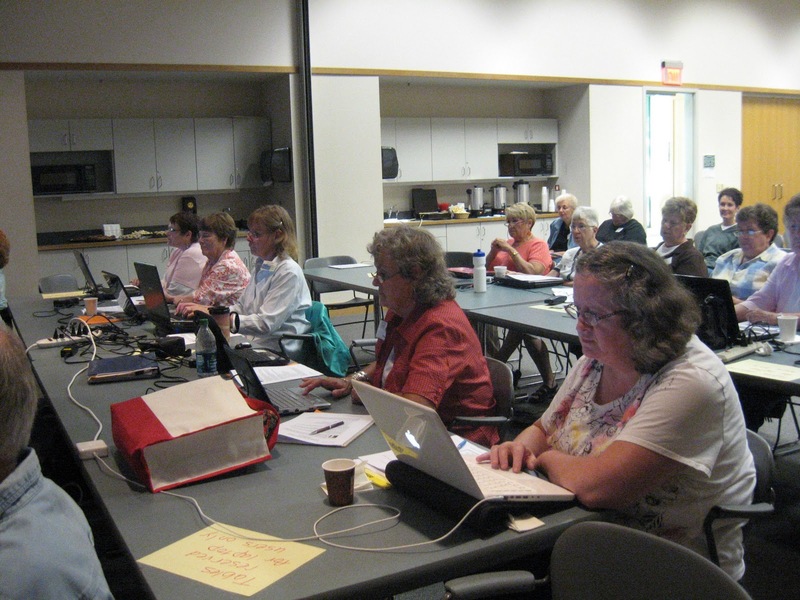 However, these afternoon sessions were pretty lively, as many seemed especially interested in learning how to start a genealogy blog and using Google Docs. As a long-time Facebook user and geneablogger, most of the information presented in the first three lectures were not new to me, but I enjoyed seeing it presented in an easy-to-understand format. Despite the fact that I am a frequent Google Docs user, I did learn a few new things, and was especially happy to see how versatile the Forms feature is! After the workshop, Thomas and I tiredly said our good-byes. He is staying another day, spending time with a first cousin (and her daughter) on his father's side from North Idaho, meeting them for the first time. At the workshop, he kept everyone well-entertained, engaged, and begging for more! I received numerous e-mails in the last 24 hours from various attendees who were so impressed by his teaching and were very grateful that I had suggested that he be our October Workshop speaker. We even had a couple of members begin their own blogs this weekend! Thomas was a big hit here in the Inland Northwest and has a standing invitation to return. He let us know that he would be happy to be back, live or virtually, anytime. Thanks for a great workshop, Thomas! 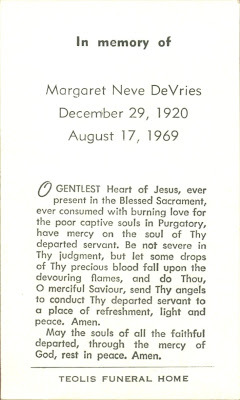 Funeral card of Margaret DeVries, Ellwood City,Pennsylvania; DeVries Family Papers, digitized and privately held by Miriam Robbins Midkiff, [ADDRESS FOR PRIVATE USE,] Spokane, Washington. This item was passed from the estate of Adrian and Ruth (Hoekstra) DeVries to their granddaughter, Miriam Robbins Midkiff in 2008. This beautiful funeral card of the wife of my granduncle, Calvin J. DeVRIES, is an unusual one in my collection. 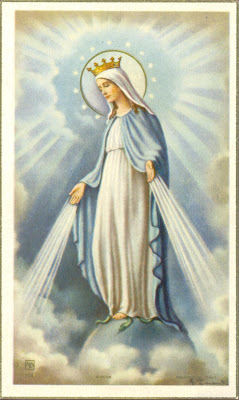 The reason is that as far back as I can research in my biological, adoptive and step-family lines, our family has been Protestant pretty much since the Reformation, and this is a Catholic funeral card. Margaret "Peggy" NEVE was a lovely woman of Italian heritage who may have met my granduncle "Cal" during his service in World War II. I don't know if Aunt Peggy was born in Italy or if she was an American with Italian roots. In fact, I don't know a whole lot about Aunt Peggy except that she was Italian, Catholic, and died tragically young from cancer. I don't even know if I ever had a chance to meet her; I'll have to check my mother's letters to see if we ever visited Cal and Peggy during one of our trips to the "Lower 48" when I was a baby. I have been in touch with Cal and Peggy's children and grandchildren over the years, sending them information on the DeVRIES family which I have researched. This post reminds me that I should get back in touch and obtain some more information to fill out the family tree a little better on Aunt Peggy's side. Thanks to Dee Akard Welborn for this great Friday theme! 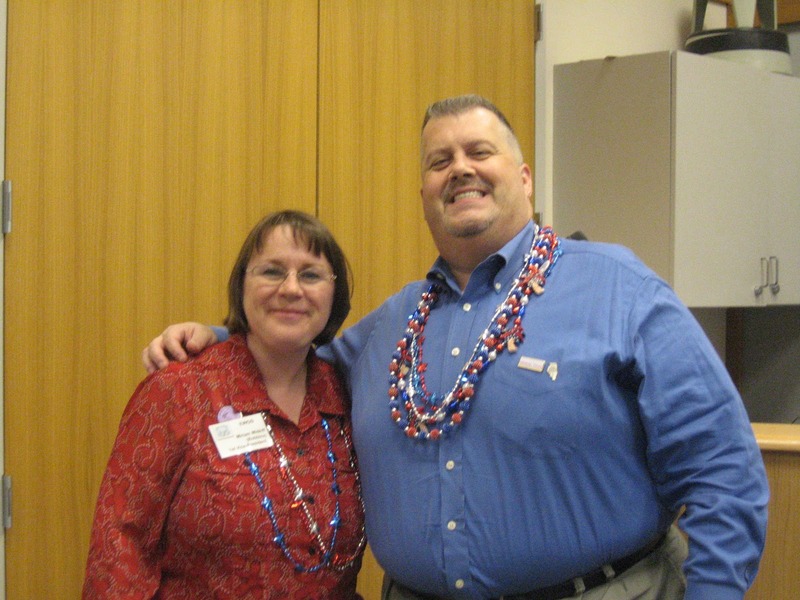 Dee encourages others to highlight their funeral card collection on the first Friday of each month. Heads Up! The Carnival of Irish Heritage and Culture is on sabbatical; the 21st Edition will be published in November 2010.